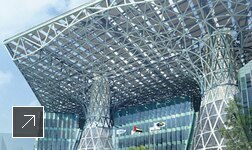 Located near the city of Abu Dhabi in the United Arab Emirates, the Masdar Headquarters will be the world’s first positive-energy building, actually producing more energy than it consumes, roughly 103 percent positive energy. 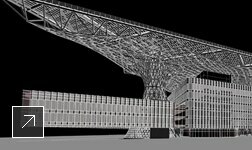 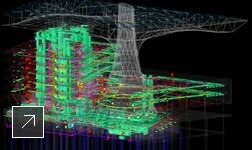 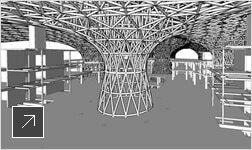 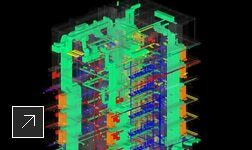 Using building information modeling (BIM) technology, the team members were able to integrate architectural, structural, and building systems from the project outset, increasing the efficiency and constructability of the 21st-century sustainable design systems and strategies. 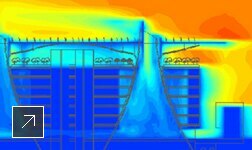 Using the model, the team studied building orientation, daylighting, and other factors in the early stages of design to optimize the building’s form to help reduce energy consumption, including a photovoltaic study to perfect the panel layout. 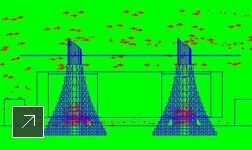 Through wind flow studies the team discovered that the optimal flow could be best achieved by creating diagonal openings at the cone bases. 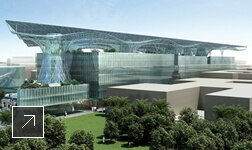 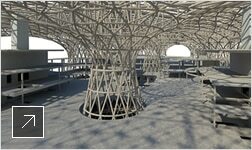 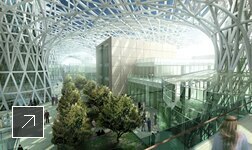 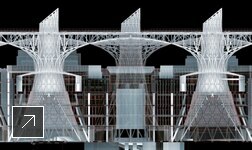 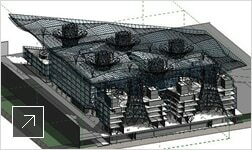 When complete, the Masdar Headquarters will consume 70 percent less water than comparable buildings. 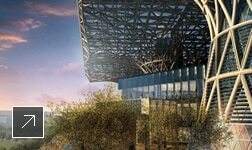 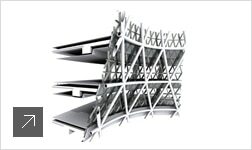 It will also incorporate numerous ecofriendly components, including a 7-acre roof canopy that will serve as an armature for one of the world’s largest photovoltaic panel arrays, and a collection of 11 cones that will promote natural ventilation and cooling.